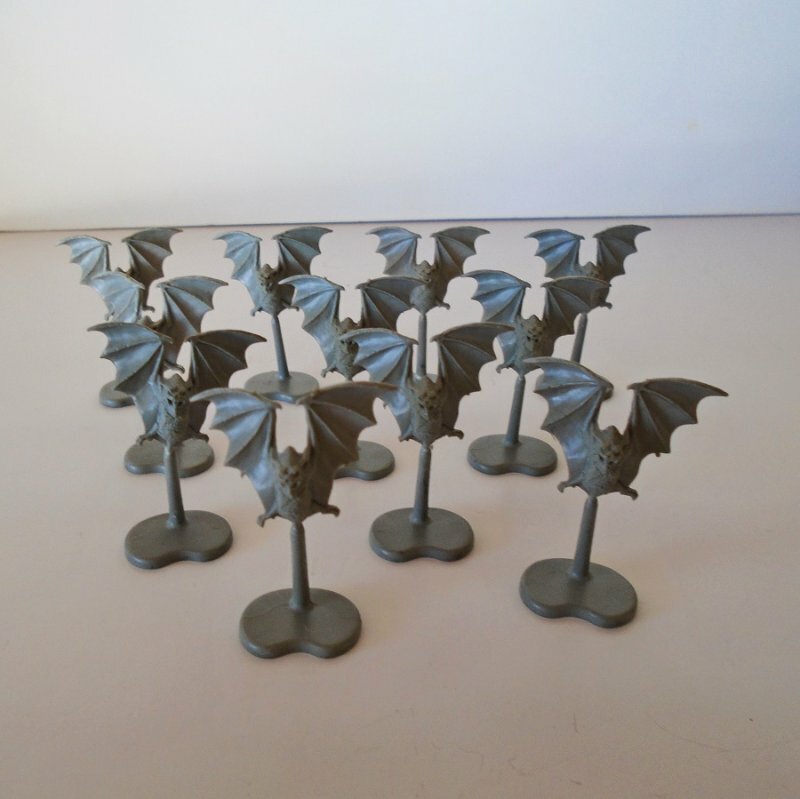 Offered in this listing are a quantity of 11 bats for use with the game of Warhammer. They are all on stands. They are all exactly alike. All are unpainted. They measure 1.75 inches tall and have a wing span of 1.25 inches. They are plastic. Quantity of 11 flying bats for use with the Warhammer game. All are on stands. All are the same size of 1.75 inches tall. All are unpainted plastic.